A feud has developed between Hollywood Democratic player Aaron Sorkin and newly elected Representative Alexandria Ocasio-Cortez, whom Sorkin accuses of acting too young and who he says needs to display more gravitas. Ocasio-Cortez, or AOC as she is known, quickly fought back, suggesting the ‘gravitas’ he was after was a double standard only ever accorded to people like himself. In a sign of how seriously he is taking this, Sorkin has launched Jeff Daniels at AOC, armed with a long blustering condescending monologue he has composed just for this purpose. Social Media watchers warn Sorkin that he is playing with fire, however, given AOC’s online savvy. Sensing this may be a losing battle, Sorkin has reportedly offered to write campaign speeches for AOC, on the condition that she turn herself into a middle-aged barrel-chested white male. 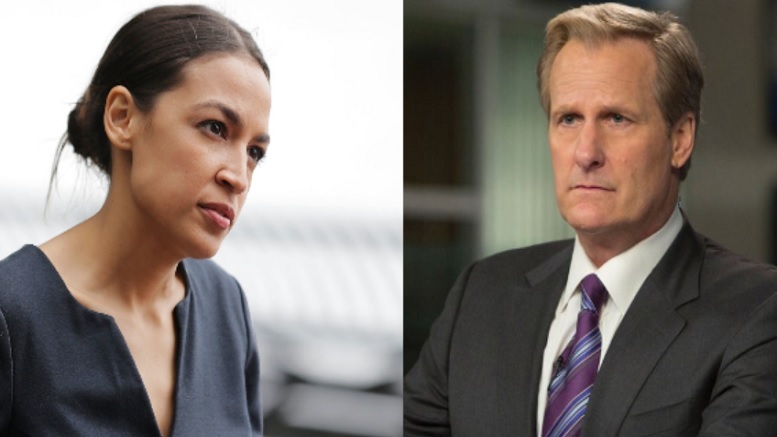 Be the first to comment on "Aaron Sorkin Deploys Jeff Daniels To Tell AOC How Wrong She Is"